Maggie Graham has been a Betty since February 2016, and she's been stylist for a total of 10 years. Maggie not only keeps things fun and upbeat at the salon, but she also slays on the daily with her AMAZING outfits. 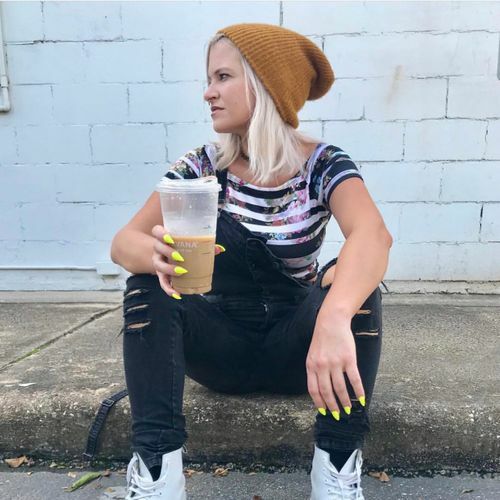 If you’re in need of some major fashion inspiration, her stylish outfits are now captured on IG along with some humorous captions, @maggieswears. Thank you Maggie! Maggie’s biggest beauty faux paus: "I had a short period when I was little too Rod Stewart like with my hair!"